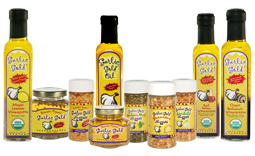 Vegan meals can be so full of flavor when you use Garlic Gold®! Whether you follow a vegan diet all the time, or are just looking for a healthy change of pace for tonight’s dinner, try out this easy, healthful dinner dish. We bake up a batch of wonderfully sweet, nutritious Garnet Yams, then top them with sautéed mushrooms and onions and finish with a big dollop of cilantro pesto. The combination of sweet, savory, and bright herbal flavors go so well together, you’ll come back to this unique recipe again and again! Bake the yams: Preheat the oven to 425ºF, and place the yams on a sheet pan or baking dish. Bake for 45 minutes, or until easily pierced with a fork. Sauté the mushrooms and onions: While the yams are baking, heat the Garlic Gold® Oil in a large (12-inch) skillet over medium heat. Add the mushrooms, onions, and salt, and sauté for about 20 minutes, until the mushrooms have given up all of their liquid and the onions have begun to caramelize. Turn off the heat and set aside. Make the pesto: Combine the cilantro, almonds, Garlic Gold® Nuggets in Oil , pepper, and salt in a food processor or mini-chopper. Process the pesto in pulses until it’s at a consistency you like, scraping down the sides of the bowl when necessary. 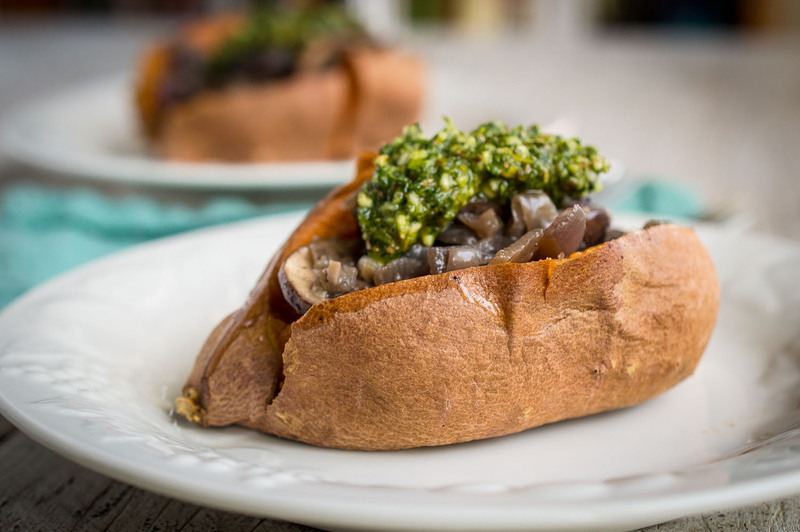 Serve the yams split down the middle and topped with a generous amount of the sautéed mushroom and onion mixture, along with a dollop of cilantro pesto.